PROJECT OBJECTIVES AND DESCRIPTION: This project responds to a direct request from the Ministry of Nature and Environment of Mongolia to support the government’s effort to involve the local population in the sustainable management of Mongolian’s forests. 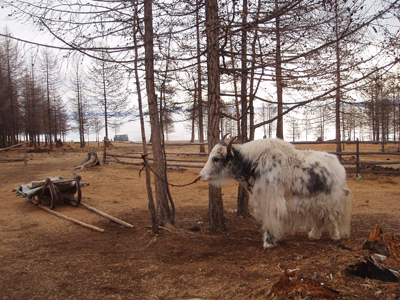 The challenge is stopping and reversing the ongoing degradation of the forests of Mongolia (caused by increasing illegal logging, forest fires and insect damage) and to contribute to poverty alleviation through the development of a model for local level forest ecosystem management which can be replicated in other sites in the forested aimags of Mongolia. The project deals with institutional, social, economic, financial, scientific and technical aspects of this complex endeavour. The project was prepared simultaneously with the new forest law which has the participation of local communities for protection and management of forest lands at its core. The passage of the new law coincided with the start of this project and the project is now supporting the development of community forestry as envisioned in the new forest law. The focus is at both local and national levels. The local level is fundamental for the development of participatory forestry and the national level is essential for the improvement of the institutional and legislative framework and the creation of an enabling context for participatory forestry in the country. In fact, the immediate objective is “the implementation and integration of participatory forestry in rural development in pilot areas through capacity building of the main stakeholders and through the development of enabling institutional frameworks at local, regional and national levels”. The project builds upon the experience acquired by FAO and other partners in Mongolia and on the positive experiences of the MA&D approach in the country. 8. Participatory monitoring and evaluation. Income generation is crucial for the sustainability of participatory natural resources management, since the local population in ecologically threatened areas will not contribute to the conservation of the resources in the long run unless they benefit from the conservation effort, especially through increased income. The project is focussing on these objectives through capacity building and the creation of forest product based small-scale enterprises using the Market and Analysis Development approach. ACHIEVEMENTS AND OUTCOMES: The capacity building program in MA&D consisted of a series of formal and on-the-job training workshops directed at field facilitators and their support teams. Every training workshop was followed by the implementation of the tools and methods by the trainees in their sites. Trainings were provided in the first two phases of MA&D in the areas of Ulaan Baatar and Khuvsgul Aimag. PROJECT OBJECTIVES AND DESCRIPTION: The aim of this project was to ensure the long-term conservation of the biodiversity of Mongolia’s Altai-Sayan region by mitigating threats and encouraging sustainable resource use by local communities. Community-based management and conservation strategies can empower herder communities to resolve forest and grassland management problems and improve livelihoods through partnerships with government and NGOs. ACTIVITIES: This project was implemented by UNDP. FAO collaborated with the project in training and implementing the MA&D methodology in order to assist herders and rural community members to establish viable micro or small enterprises that contribute to improve their livelihoods and create incentives for biodiversity conservation and sustainable use of natural resources. The main project office was in Ulaanbaatar and there were 4 provincial offices in Khovd, Bayan-Olgii, Uvs (Western aimag), and Khovsgol Aimag (North Central). understanding that EDPs serve as a basis of the strategy and monitoring tool for providing adapted support to small entrepreneurs. The MA&D approach shows that rehabilitation of degraded environment and conservation of biodiversity cannot be achieved without the involvement of the local population who live in and depends on the resources of these areas. It also emphasizes that local populations in ecologically threatened areas will not contribute to the conservation of the resources in the long run unless they benefit from conservation efforts, especially through increased income from managed resources.